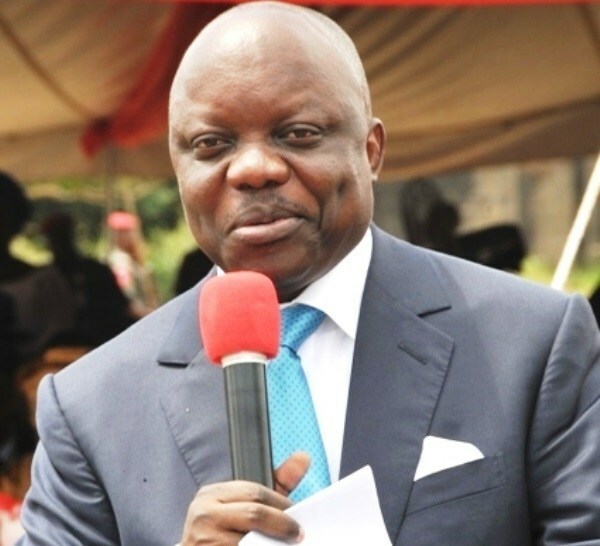 As the 2019 elections draw closer, the National Association of Itsekiri Graduates (NAIG), has adopted the candidate of the All Progressives Congress, APC, for Delta South Senatorial District, Dr. Emmanuel Eweta Uduaghan, as its preferred choice to represent the district. The forum made the disclosure in its 2019 new year message signed by its National President, Comr. Collins Oritsetimeyin Edema to Itsekiri graduates worldwide. The Itsekiri is one of the ethnic groups that make up Delta South Senatorial District. Lending its voice on the 2019 elections in the senatorial district, Comr. Edema stressed that after several consultations with different interest groups and critical stakeholders, the association cannot deny the fact that amongst the four Itsekiri candidates gearing to represent the district, Dr. Emmanuel Uduaghan stands a better chance to wrest power from the incumbent senator who has under-performed. In his words: “As enshrined in our constitution, ‘the economic wellbeing and or welfare of our members shall be the focal point of the association’. It is on this premise that I wish to call on all Itsekiri graduates and people of goodwill to take the forthcoming general elections very serious. “We are all aware that the Nigerian government is the biggest earner and biggest spender of money, hence controls the economy of the country. We must therefore be concerned about who governs us as the economic wellbeing of our members is influenced by those who represent us in government. “The 2019 general election is the beginning of a new political lifecycle for the Itsekiri nation and as such we must be involved in how our economic wellbeing will be affected in the next four years. “Today, the Itsekirin nation is at a political crossroads. It is either we remain the way we are or we move forward. We cannot afford to vote for candidates who will take us backward as that will only land us in political wilderness for another four years. “The 2019 general elections is a choice between immediate financial gains and sustainable development. The 2019 general elections is a choice between Itsekiri interest and personal interest. The 2019 general elections is a choice between political jobbers and political capacity. The 2019 general election is a choice between being anti-party and being anti-Itsekiri. “Our choice in the 2019 general elections will either lead to the completion of the dredging of the Warri River or the suspension of the project. Our choice in the 2019 general elections will either lead to the opening of the Warri and Koko ports or the continuous closure of those ports. Our choice in the 2019 general elections will either lead to the commencement of work on the Gas Revolution Industrial Park (GRIP) Ogidigben or the continuous hopelessness we face. Our choice in the 2019 general elections will either lead to the passage of the bill for the establishment of the Federal Polytechnic Koko into law or the suspension of the bill. Our choice in the 2019 general elections will either lead to the gazetting and revival of the $5million vocational training centre Egbokodo that is in a sorry state or the continuous sorry state. “It is public knowledge that it is the turn of the Itsekiri ethnic nationality to represent Delta South Senatorial District at the red chambers. With four Itsekiri candidates vying for the position our chances of producing the next Delta South senator is bleak. With four Itsekiri candidates vying for this position, we have become a laughing stock to those we lobby to allow us have a shot at the senatorial seat. “After several consultations with different interest groups and critical stakeholders, I cannot deny the fact that amongst the four Itsekiri candidates, the immediate-past governor of Delta State, His Excellency, Dr. Emmanuel Eweta Uduaghan stands a better chance to wrest power from the incumbent senator. 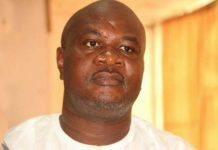 “I wish to plead with all Itsekiris contesting for the position of Delta South senatorial seat, all Itsekiri graduates, Itsekiri students, Itsekiri youths, women groups, Itsekiri elders, Itsekiris all over the world, and the good people of Delta South Senatorial District to as a matter of national interest set aside personal ambitions, ethnic sentiments, and pecuniary gains to adopt Dr. Emmanuel Ewetan Uduaghan as their consensus candidate for Delta South Senatorial District. “My plea is premised on the fact that this election is our best chance yet to liberate the good people of Delta South Senatorial District from the incumbent political “Mugabe” hence we should not allow our personal ambition to becloud our collective ambition. “It is better to be anti-party than to be anti-Itsekiri. Political parties will come and go but the Itsekri nation will remain. We need to make real sacrifice if the Itsekiri nation is to remain politically relevant in the next four years. “Dr. 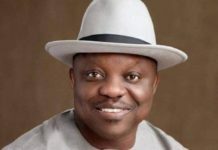 Emmanuel Uduaghan with his wealth of experience as the immediate-past governor of Delta State will bring his experience to bear on his job as the senator representing Delta South Senatorial district. “We want a senator that can join hands with the member representing Warri Federal Constituency to influence the opening of the Warri ports to cargo, and commencement of the GRIP-EPZ Ogidigben projects. These two projects will guarantee over 300,000 permanent jobs for our graduates and youths. The recent rate of money ritual among our youths is not only alarming but a need to declare a “state of emergency” on these listed projects for the collective good of the people of Delta South Senatorial District,” the statement concluded.